A range of Jewellery made using a wide selection of Semi Precious Gemstones in various colours and Sterling Silver. 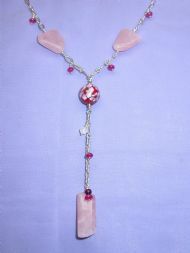 Chains and Thongs are all 18". 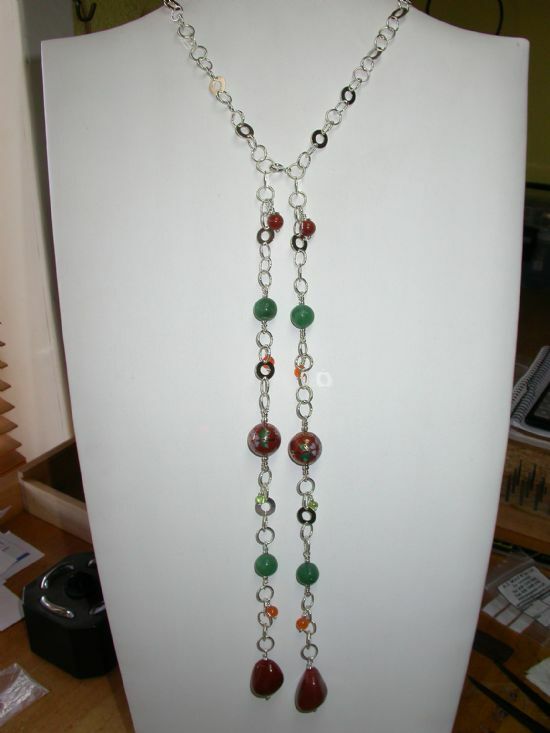 Bollo Necklaces are all 40" and worn like a scarf. 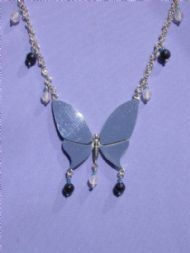 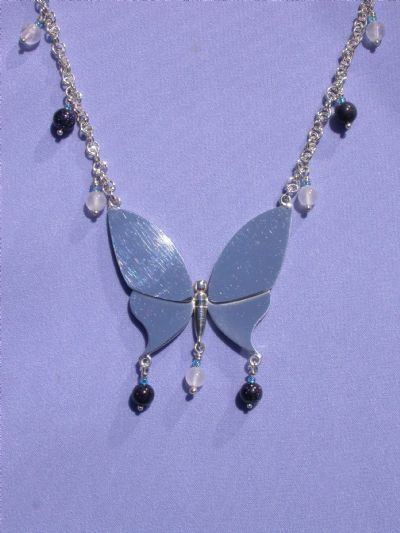 Sterling Silver Butterfly Pendant, with Semi Precious Beads. Other colour combinations can be supplied. 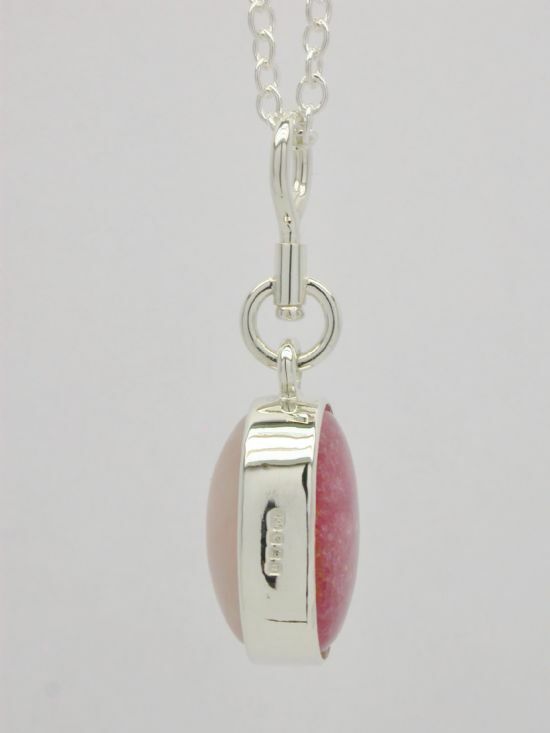 Sterling Silver Hinged Double Oval Pendant. 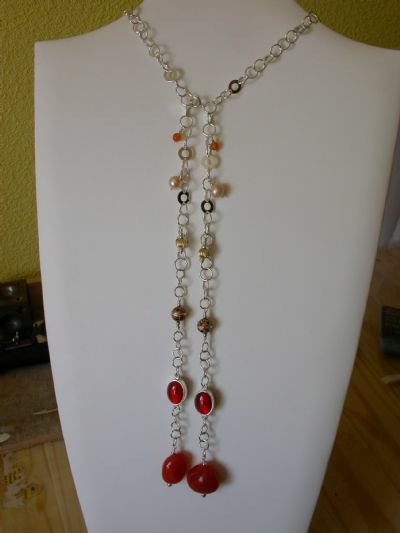 Other Stones can be used. 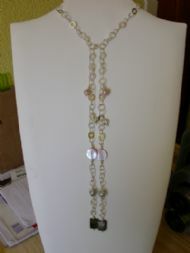 Sterling Silver,Obsidian, Haemetite,Pearl,Bollo Necklace 40". 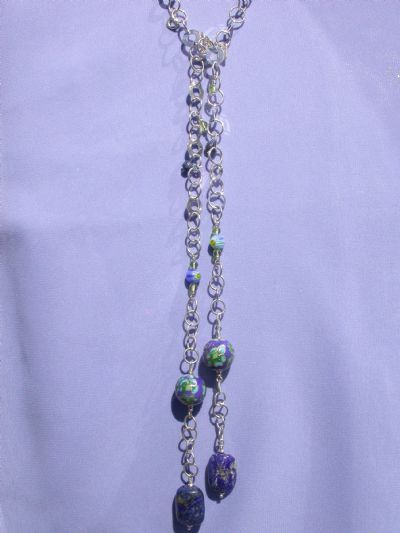 Sterling Silver,Sodalite, Enamel, Bollo Necklace 40". 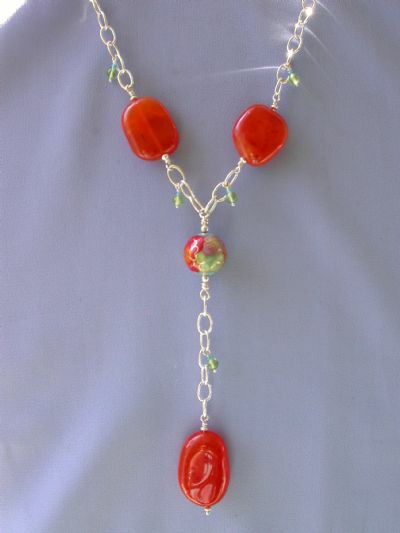 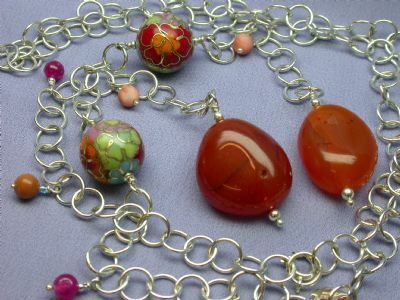 Sterling Silver,Cornelian, Enamel, Bollo Necklace 40". Sterling Silver, Cornelian,fob,Pearl,Enamel,Bollo Necklace, 40". 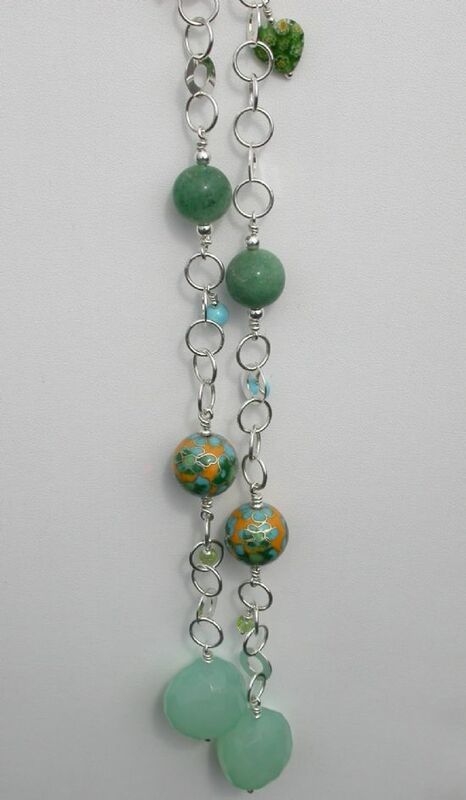 Sterling Silver Chalcedony, Jade, Enamel and Bead Bollo Necklace. 40"
Sterling Silver Rose Quartz and Amethyst Bollo Necklace, with Enamel and Glass Beads. 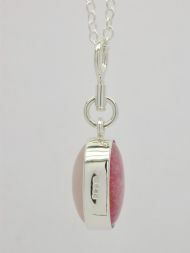 Sterling Double Sided Cabachon Fob Pendant. 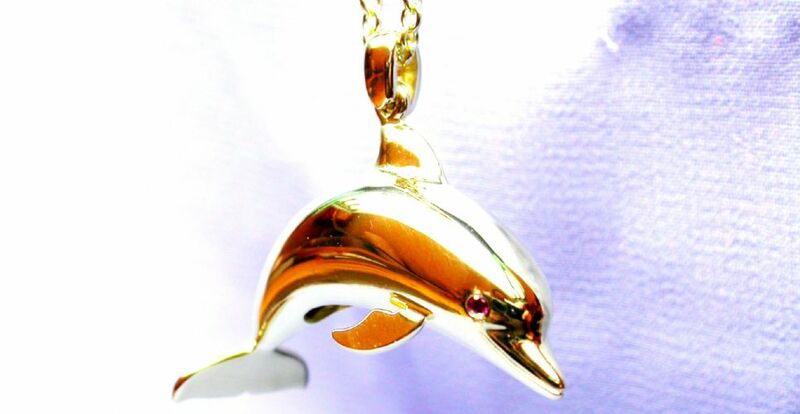 This pendant spins so that either side can be shown. 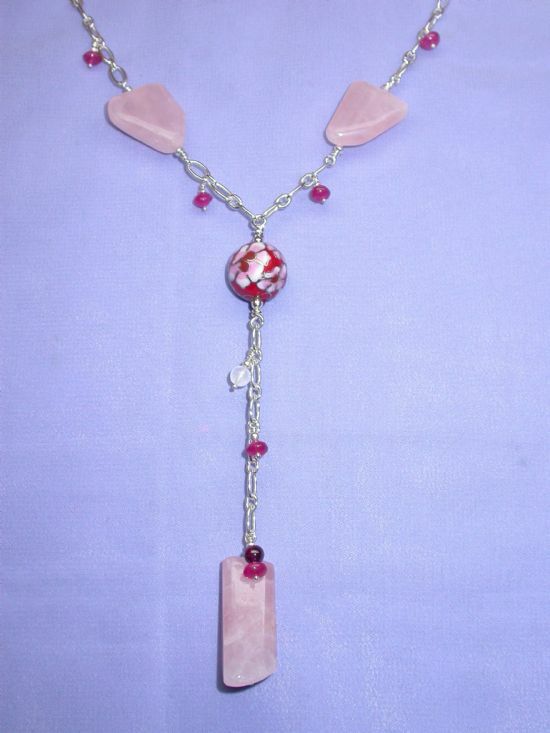 Rose Quartz and Rhodochrosite also Available in Amethyst,Cornelian,Tigers Eye. 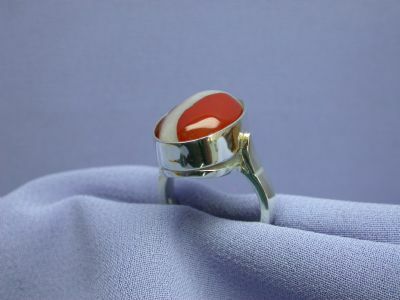 Sterling Cabachon Fob Ring in Jasper. 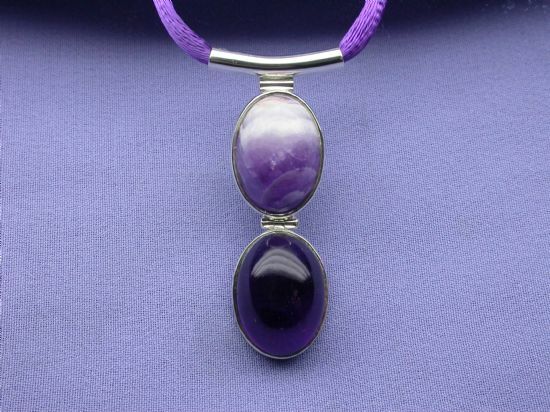 To match Pendant. 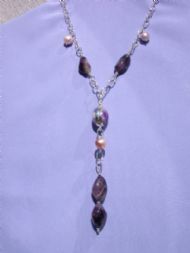 Available in Amethyst,Cornelian,Tigers Eye, Rose Quartz. 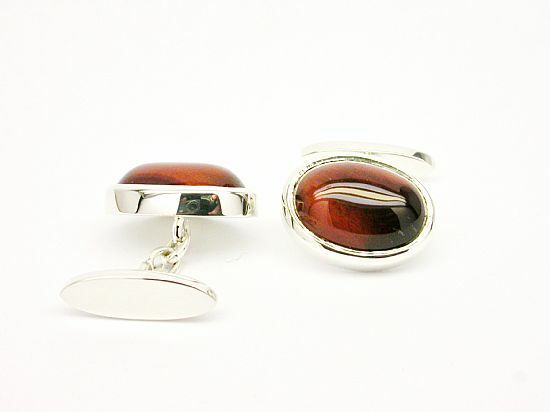 Sterling Tigers Eye Cabachon Cuff Links, also available in Amethyst,Cornelian,Jasper. Sterling Silver Amethyst and Pearl Necklace,with a double sided Fob. 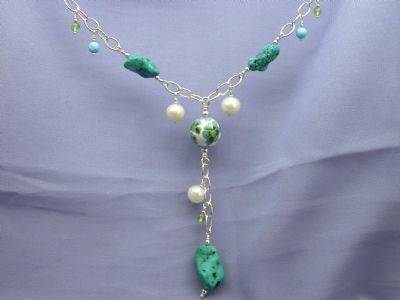 Sterling Silver Turquoise and Pearl Necklace. 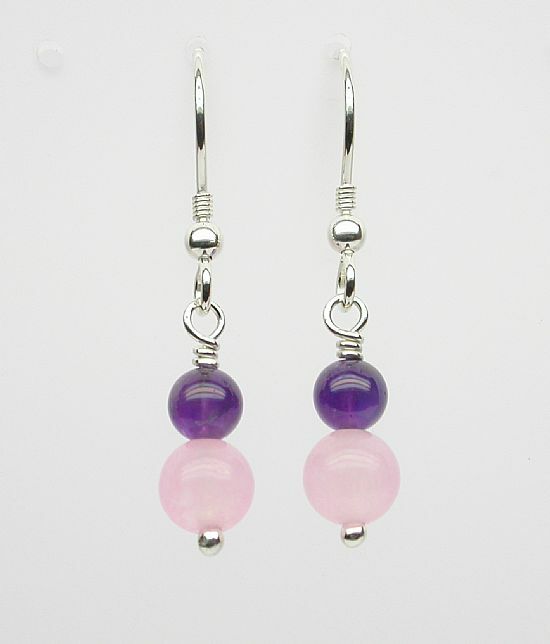 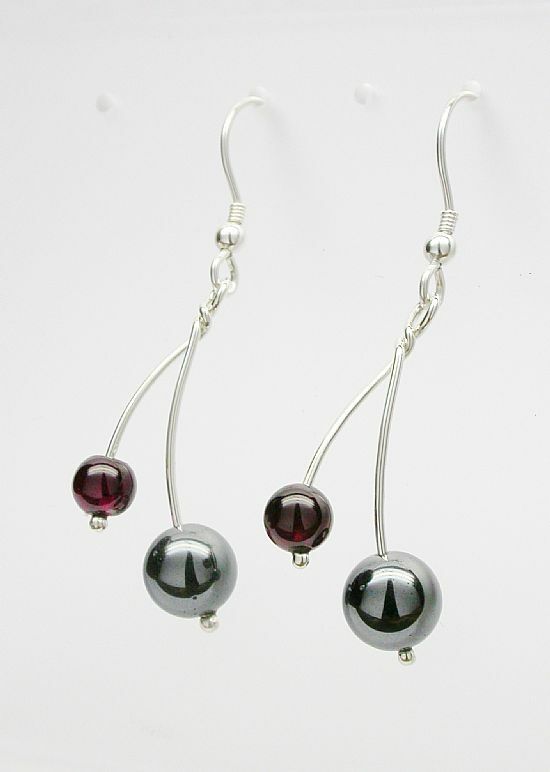 A selection of Sterling, Double Bead Drop Earrings, Any Semi Precious Gemstone and or Beads can be used. Just let me know what colours you need.I can make them to match any Bollo or Y Necklace.